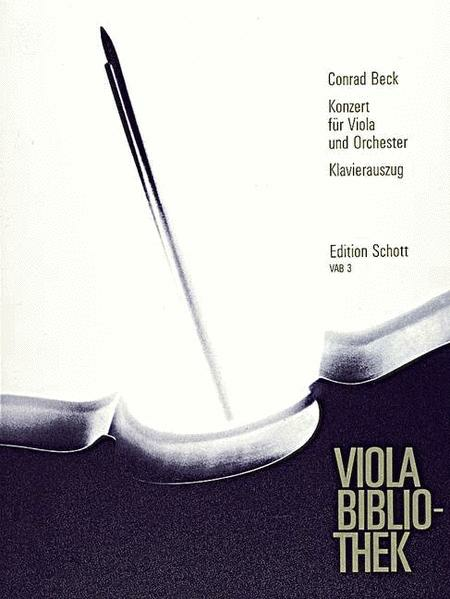 Composed by Conrad Beck (1901-1989). This edition: Saddle stitching. Sheet music. Viola-Bibliothek (Viola Library). Piano reduction with solo part. Composed 1949. 32 pages. Duration 23'. Schott Music #VAB3. Published by Schott Music (SD.49012251).